The Walking Dead twitter account called her "one of the most passionate people (and #TWD fans) you could meet." 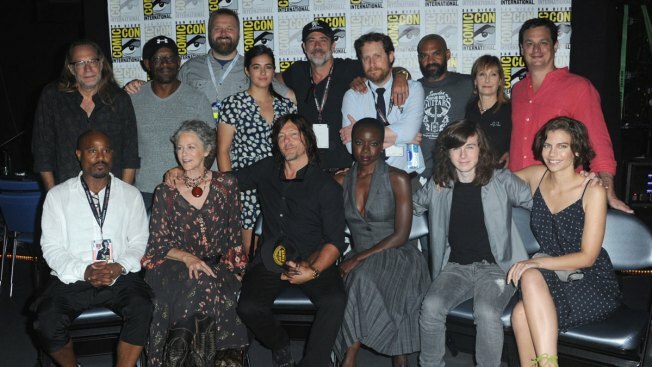 Cast members of the "Walking Dead" are honoring a devoted fan who passed away Tuesday night with heartfelt messages across social media. Lisa Williams lost her battle to lung cancer on April 3, according to a report from Mashable. She was a regular attendee of many events and conventions surrounding the hit AMC show and was clearly loved by the show and its actors. And the love doesn’t stop there — multiple members of the cast have also said words of remembrance for Williams along with photos from when they met her. Norman Reedus, who plays Daryl on the show, posted on Instagram saying he was going to miss Williams’ smile. “Lisa always stood out as one of the best,” said Jeffrey Dean Morgan. Morgan, who plays Negan, added that they were blessed to have had been able to meet her. Carlos Navarro (Alvaro), Jeremy Palko (Andy) and Alicia Witt (Paula) also had kind words for Williams on twitter. Witt called her a “bright light” at cons. She was a sweetheart and the MOST passionate #TWD family member out there. One of the conventions the super fan went to, Walker Stalker Con, called her “the living essence of what we envisioned." The post shows her posing with the star of the show Andrew Lincoln who plays Rick Grimes. "And she exceeded those expectations, as she utilized her love and position to raise money to serve others through her charitable endeavors,” it continues. “She used her lifetime to give experiences to others. Her memory and legacy doesn’t end with her unfortunate passing." Williams was involved with charity and a group called Team Lincoln which raised more than $30,000 for Barnardo's, a U.K. children's charity that Lincoln himself is an ambassador for, according to ComicBook.com. Entertainment Weekly says fans have been hoping that the next episode of “Talking Dead” this Sunday will honor Williams in somehow.